What’s better than welcoming the new year with family and friends? 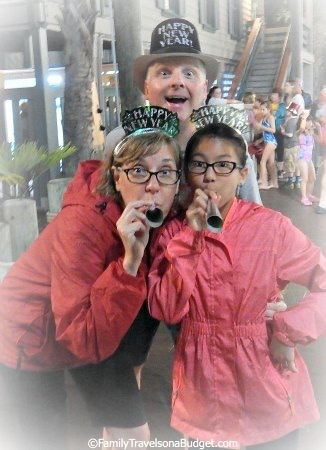 Welcoming the new year at Hilton Head Island with those same people and temperatures in the mid-70s! Yep! We got home from Hilton Head a few days ago and had the most relaxing vacation ever. 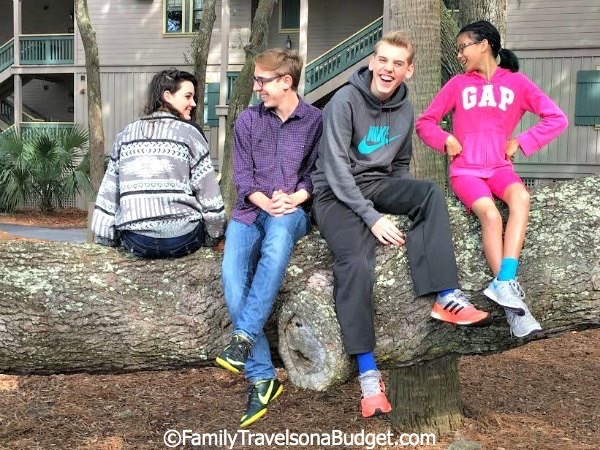 Hilton Head is our family’s secret hideaway, the place we go when we really want to relax and reconnect. While we love the adventure of discovering new places, Hilton Head is our cozy place. It really hasn’t changed much in the 18 years we’ve been going, except that the main thoroughfare (Rt. 278, aka William Hilton Pkwy) has a bit more traffic. Hilton Head is committed to preserving green space. Wherever you go, you’ll see ancient live oak trees dripping in Spanish moss and palm trees waving in the breeze. When we cross the bridge from Bluffton onto the island, my daughter literally squeals with delight (and then for 20 minutes until we reach our hotel) as she sees those trees, wildlife and the wide marshland. 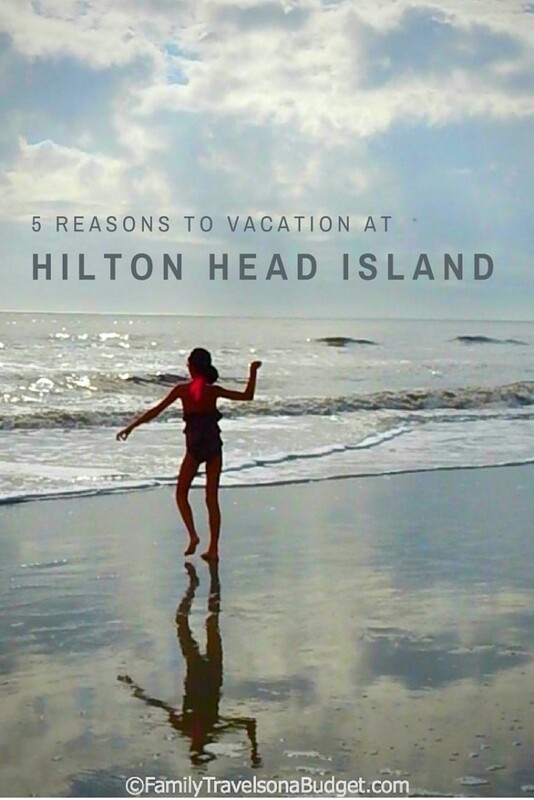 If you have been to Hilton Head, you know it’s a treasured vacation spot. To those who have never been, let’s see if I can convince you to go this year! Hilton Head is the second largest island on the east coast — Long Island, New York is the largest. With 12 miles of wide beaches and warm gulf stream waters, the beach is a top reason to visit Hilton Head. It’s been recognized as one of the top 10 family beaches in the country, and it’s certainly my favorite! 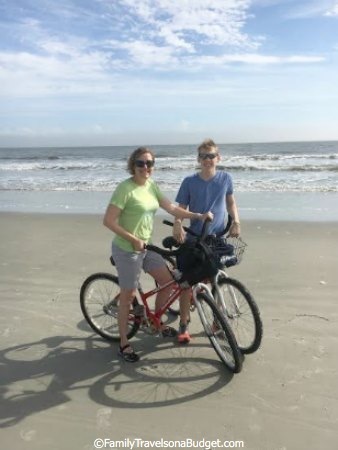 Many of the beaches are wheelchair accessible with mats to maneuver through the sand, including Alder Lane Beach, Coligny Beach Park, Driessen Beach Park, Folly Field Beach Park and Islanders Beach Park. Biking on the beach is harder than it looks! Biking and water sports are both prevalent options across the island. 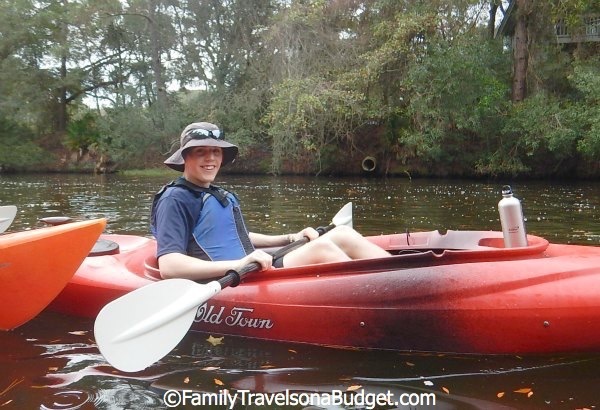 We vacation in the Shelter Cove/Palmetto Dunes area and rent our bikes and kayaks from Hilton Head Outfitters, but there are numerous rental companies — and many resorts offer rentals as well. 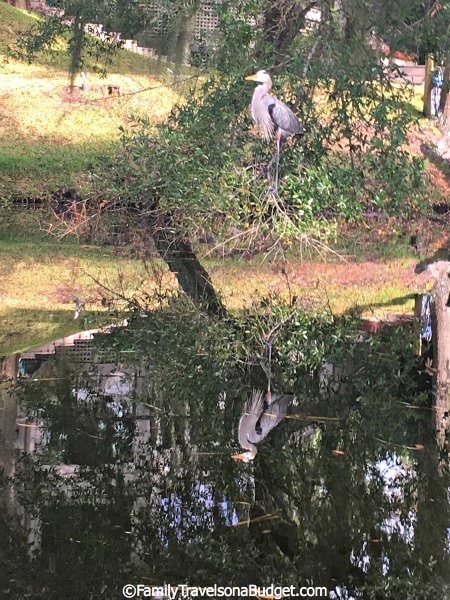 Those new to kayaking will enjoy the calm waters of the Palmetto Dunes lagoon system, with plenty of opportunities to see wildlife. The more adventurous might like kayaking the marshland and ocean waters to see dolphins and a wider variety of sea life. 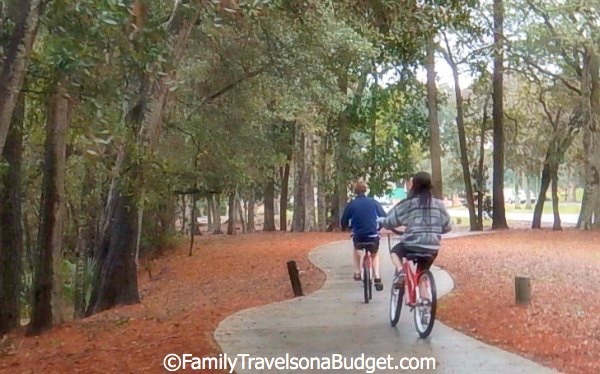 Landlubbers will appreciate the 80 miles of dedicated bike trails throughout the island. For the most part, the island is fairly flat and biking is easy. However, I biked the beach for the first time, and wow! It’s a lot harder than it looks! What a workout. Bicyclists should note that cars have right away throughout the island. Obey biking traffic rules and signs for your safety. 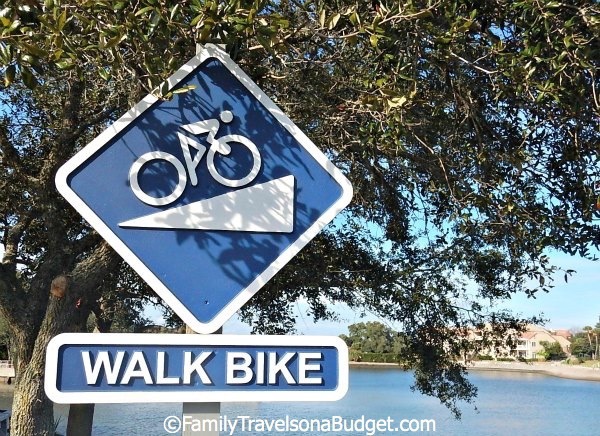 Bikers have their own signs at Hilton Head, including stop signs! Miniature golfers have a number of courses to enjoy, with waterfalls, pirates and other fun themes. Check Groupon and other places for money saving coupons! Those who enjoy “real” golf probably already know that Hilton Head is one of the top 10 golf destinations in the world, offering PGA quality courses designed by the greats like Robert Trent Jones Sr., Pete Dye and Jack Nicklaus. To plan your Hilton Head golfing vacation, look for packages to save a bit. Fresh seafood is abundant on Hilton Head Island. 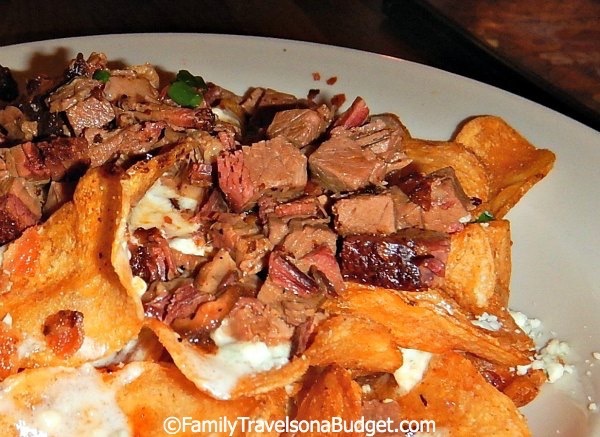 Since I’m allergic, though, we always make our way to One Hot Mama’s, which serves “comfort food with a kick.” The restaurant’s award winning BBQ and southern side dishes satisfy every member of our family. We unanimously recommend the Triple B Chips ($8) which won second place at the Seafood, Jazz and Brew Festival! Perhaps the coolest thing about Hilton Head is that many restaurateurs have moved to the island to open restaurants featuring their favorite cuisine. There are New York delis and bagel shops, pizza places with strong Italian roots, ice cream and gelato shops, and even a French bakery (behind Belk at Shelter Cove — and always with lines out the door). Whatever you want, it’s on the island! 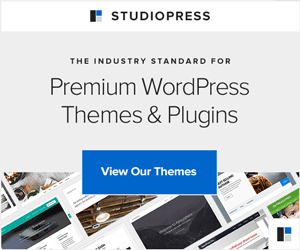 Oh….. the quiet. This is Hilton Head’s best trait of all. Go. Run. Do. Have fun. All day long. Or sleep in and dance the night away at a bar or club. In between, soak up “low country life,” that slow pace where moments are savored and memories saved. Read a book in a hammock under a live oak tree. Explore the marshland. Fish off a pier. Slow down. Enjoy the quiet places so well preserved on this beautiful island. Soak it in and go home truly refreshed. After all, isn’t that what vacation is supposed to do? Ahhhh…I totally agree! I LOVE Hilton Head. Lived there for several years–my parents moved there when I was in college, so I ended up calling the place home for a few years before moving west. Hoping to get back there soon! For a variety of reasons, we haven’t visited in over 5 years! 2 of my favorite eateries that come to mind—Signe’s Bakery & the Sea Shack–make sure to check them out if you haven’t before! Thanks so much for the recommendations. 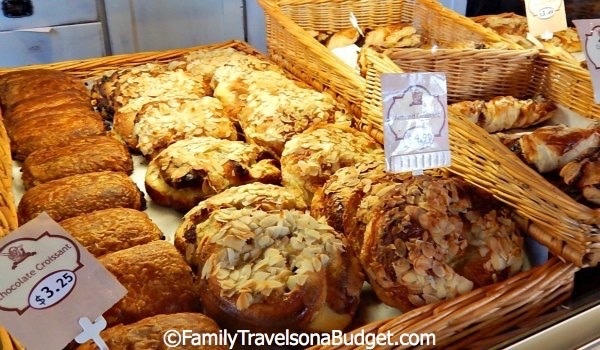 We have been to Signe’s Bakery (Saw it on Rachael Ray’s $40/day show), but not the Sea Shack. I agree, the bakery is spectacular! 18 Years going to the same place!? Must be worth it. 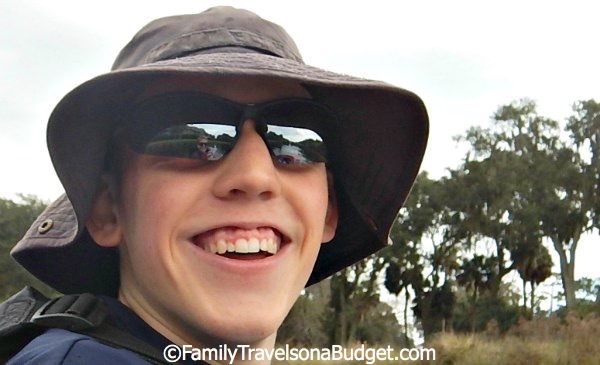 It’s funny that before my wife and I had kids, a relaxing vacation meant an all-inclusive beach resort, but as our family grows, I know we’ll be looking for more something quiet but with some opportunity for kids to have their own adventures. We’ll definitely have to check this place out some time.